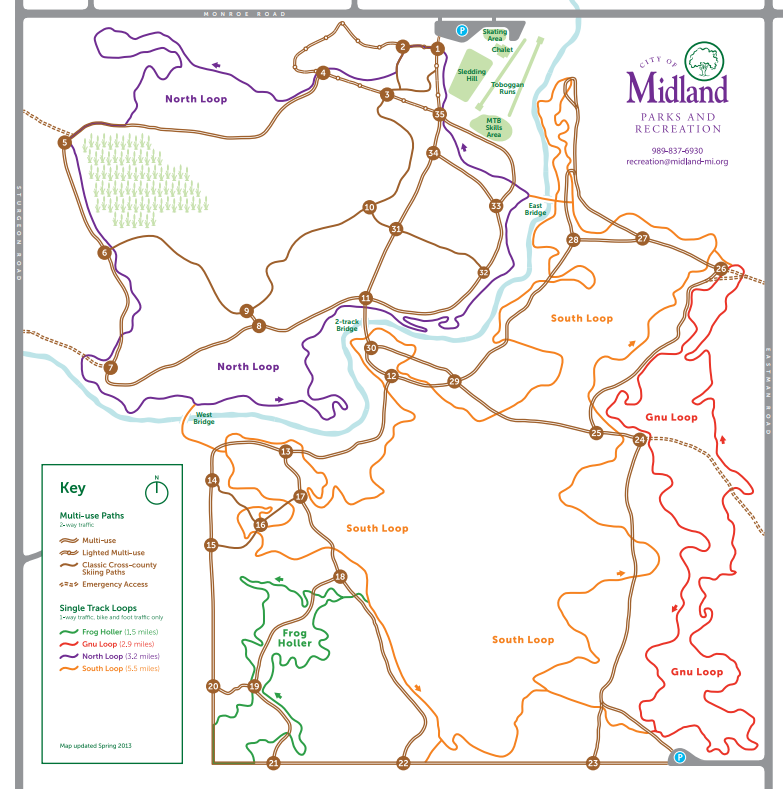 Getting there: Trails are located at City Forest in Midland which is on Monroe Rd. between Sturgeon Rd. and Saginaw Rd. north of the mall. What's there: Midland City Forest offers wonderful cross country skiing on groomed trails for classic and skate skiing. Trails are designed for skiers of all levels, from beginner to an advanced 11k loop. A 0.7 mile beginner trail is lighted from dusk until 8 p.m. every evening. Routes and distances can be obtained by clicking on the trail map. Skate and classic skis are available for rent.